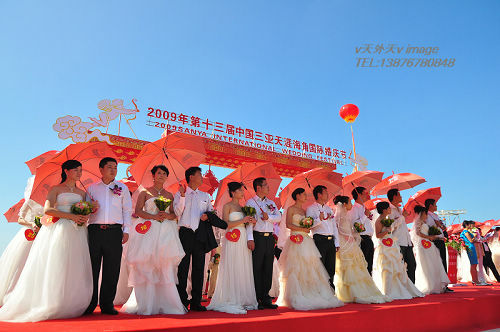 Hosted by Hainan Tourism Development Commission, the annual International Wedding Festival will be kicked off from Nov. 16 to 20, 2011 in Sanya. Sanya is an ideal wedding destination for couples around the world since each of the four days will offer series of wedding-themed activities for the couples and their guests. Activities include the group weddings, bachelor beach party for the men and women and traveling and honeymoon holidays.